Spotting Scope is a small portable telescope with added optics to present an erect image, optimized for the observation of terrestrial objects. They are used for birdwatching and other naturalist activities, for hunting, ranging and surveillance and for any other application that requires more magnification than a pair of binoculars. There are a variety of Spotting Scopes available with Microglobe such as, Barr & Stroud, Bushnell, Dorr, Nikon, Pentax, Tasco, Opticron, Celestron, Praktica, Helios, Acuter, Skywatcher, Yukon, and kenko. 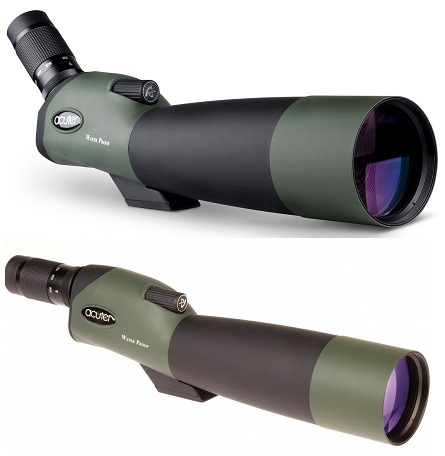 Most of the Spotting Scopes are fully multi-coating optics glass elements that ensure the highest levels of light transmission, contrast, colour fidelity and sharpness. Some of them have a high quality prism with Extra Low Dispersion objective lens that provides excellent colour correction and razor sharp images while virtually eliminating chromatic aberration. Microglobe had all of the above Spotting Scopes at affordable price. Microglobe is the largest online store of the UK.